at university of the pacific's dugoni school of dentistry, Dr Nabeel Cajee received a prestigious award for excellence in crown and bridgework. Born and raised in San Joaquin County, Dr. Cajee feels privileged to treat patients in the community for which he cares deeply. He is a Fellow of the International Congress of Oral Implantologists and American Academy of Implant Prosthodontics who is constantly updating his skills in computer-guided surgeries including minimally invasive wisdom teeth removal, dental implants, and sinus lifts. 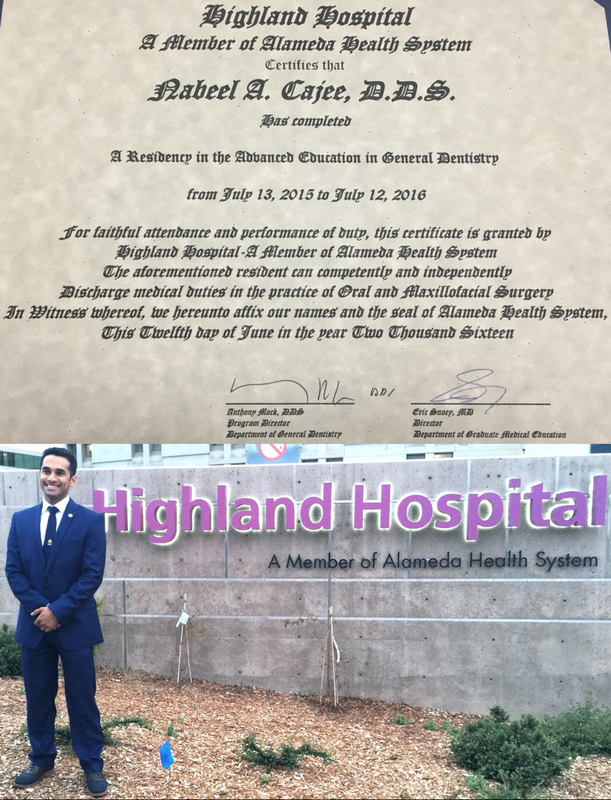 He completed an Advanced Education in General Dentistry Residency at Highland Hospital, the San Francisco East Bay’s regional trauma center. Dr. Cajee trained in oral surgery and comprehensive dentistry serving medically compromised patients and emergency cases in the operating room and the hospital’s outpatient clinic. He received his Doctor of Dental Surgery degree from the University of the Pacific Dugoni School of Dentistry in San Francisco, during which time he received additional surgical training with the Indian Health Service in Oklahoma. Passionate about mentorship, he led a team of 32 tutors to support instruction of the Pacific Dugoni Helix Curriculum’s 1st year core medical sciences and pre-clinical dental sciences. Dr. Cajee teaches basic and advanced suturing techniques to dentists and is a member of the faculty at University of the Pacific. Prior to dental school, Dr. Cajee self-designed a major at University of the Pacific in Stockton. As a student he studied Spanish, worked, and researched in Mexico, Bolivia, Colombia, and Spain. In addition he helped start and served as the Executive Director of Stockton2020, Inc., a non-profit civic advocacy group dedicated to making reinvestment in Stockton and San Joaquin Counties public libraries a priority. Dr. Cajee’s work helped inspire Measure M on the November, 2016 Stockton ballot which will generate $150 million for libraries and recreation in the years to come. The Cajee family has a strong, multi-generational tradition of health care providers, Dr. Cajee believes patient care and comfort comes first. As an advanced general dentistry resident at highland hospital Dr. Nabeel Cajee trained in Oral Surgery and Comprehensive dentistry. My goal: I want you to eat an apple when you are 100 years old. “People today can expect to live longer today than ever before. What does that mean to me as a dentist? The ability to eat well into your advanced age will most likely have one of the largest impacts on your quality of life. As we age, our teeth do too! And as our dental & medical problems get more complex as we age, invasive procedures to restore function of eating become more difficult to manage for both the patient and the doctor. Interests: Hiking; Photography; 3D Technology; Spending time with Family & Friends. Favorite place in the world: California. Read Dr. Nabeel Cajee's Feature in University of the Pacific's Alumni Magazine and on the university website's Front Page. Dr. Nabeel Cajee, a 2015 graduate of Pacific's Arthur A. Dugoni School of Dentistry, talks about how Pacific research is transforming access to dental care. Dr. Cajee completed an implant Surgery Externship at the World-renown LIT INSTITUTE. 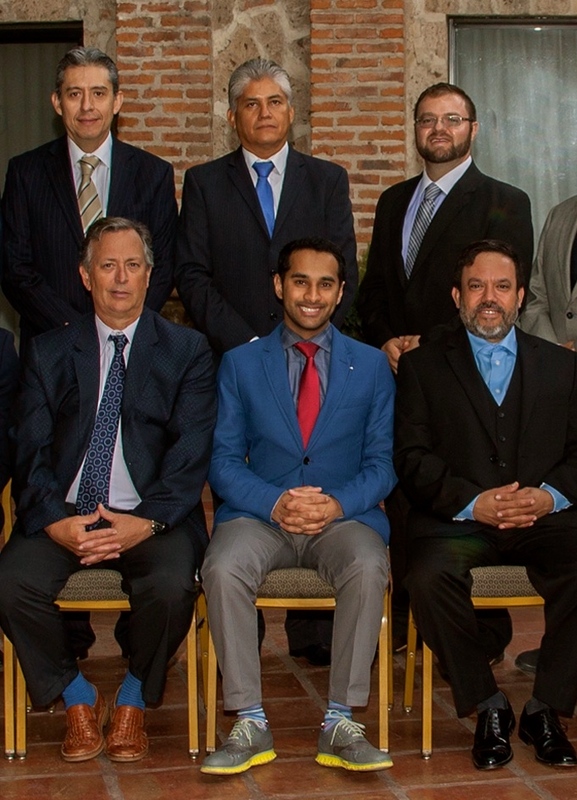 He worked on complex implant surgeries with Dr. Carlos Roa - Chair of Oral Surgery at Central Medical Hospital Mexico (Upper Left), Dr. Raul Duenas - President of the Oral Maxillofacial surgery association OF MEXICO (Upper middle), and LIT Director and celebrity dentist Dr. Virgil Mongalo (Lower Right). Dr. Cajee beleives in the power of community and working together to make Stockton and San Joaquin county a great place to live.